BRUSSELS, Belgium -- Ukraine promised on Wednesday the European Union that they will continue fighting against corruption, improve border control among other topics, the European Union (EU) announced. Ukraine, represented by Minister of Justice Olexander Lavrynovych, met with the Spanish presidency of the European Union and said that Ukraine promised to extend the battle against corruption, human and drug trafficking, and to improve border control. Spain's delegation was led by Antonio Camacho, the Secretary of State for Security. Camacho remarked that a good border control will result in preventing illegal immigration and will help lead to the lifting of visa requirements for Ukrainians. "The battle against corruption is another of the conditions required to achieve greater convergence on social, political and economic issues," said Camacho. On the other hand, Spain's Secretary of State for Justice, Juan Carlos Campo said that Ukraine needs to become a state where rule of law is consolidated with an independent judiciary. 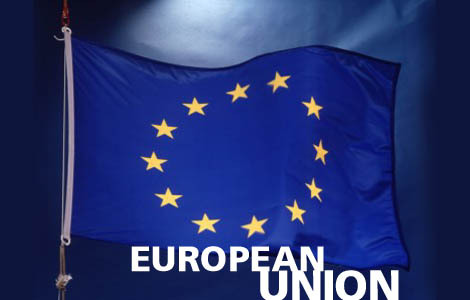 Ukrainian citizens are required to present a visa when they travel to the European Union. Since 2008, Ukraine is aiming for the complete removal of mandatory visa for its citizens.